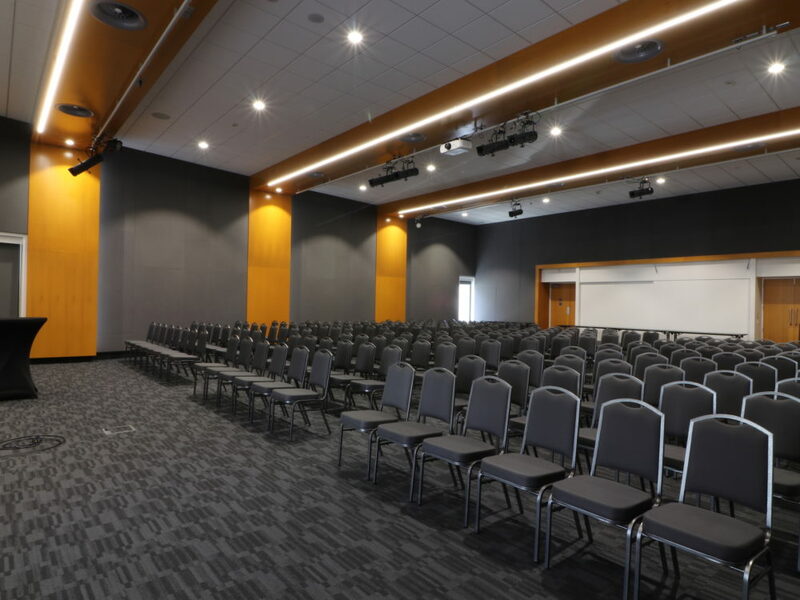 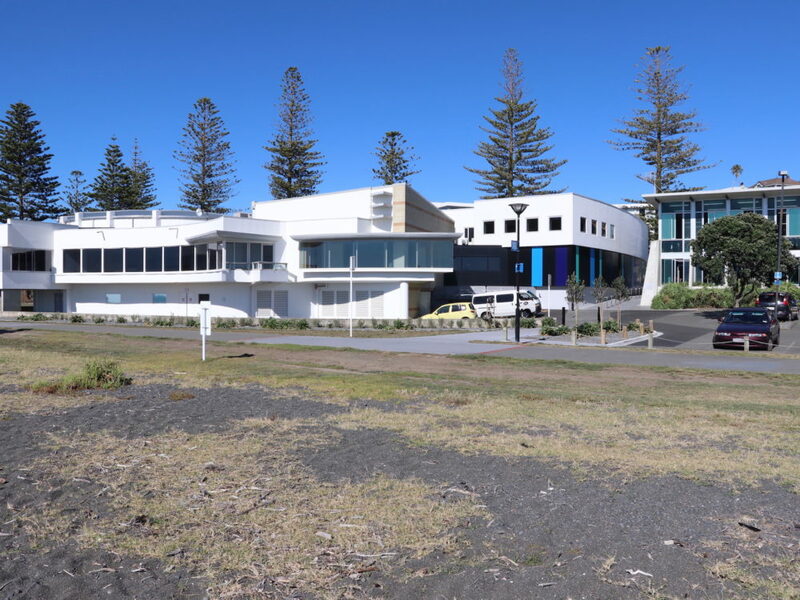 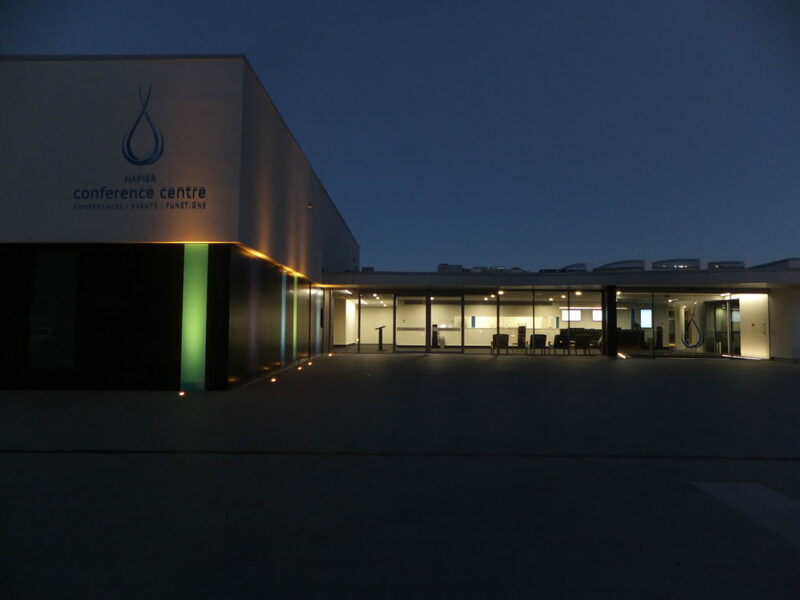 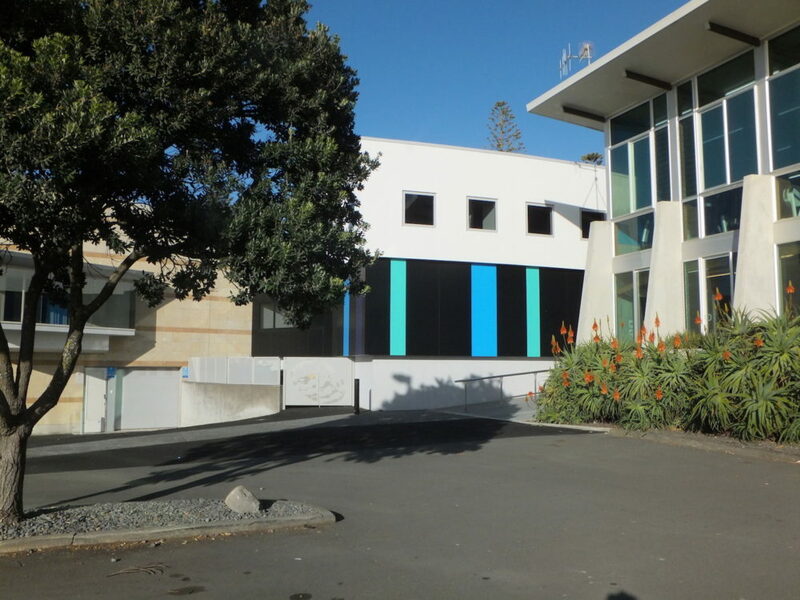 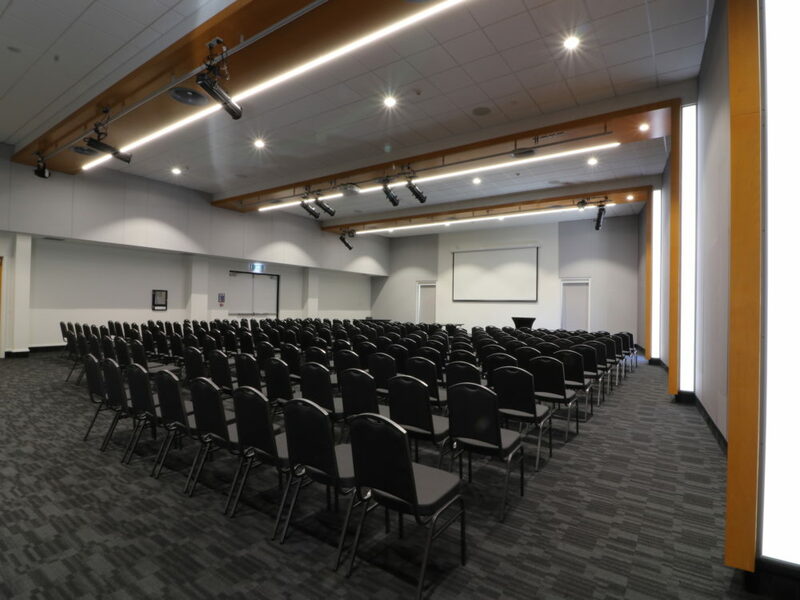 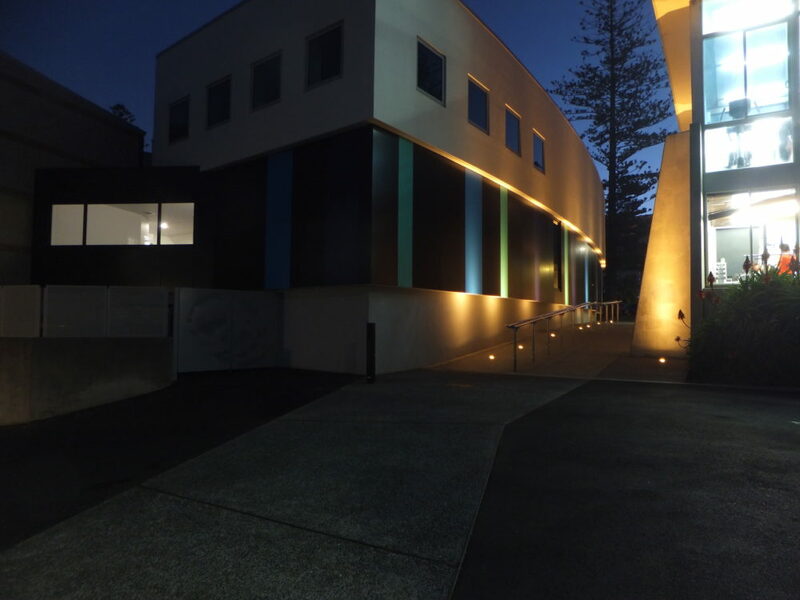 A commercial decision to add a new exhibition hall and expanded entry foyer to the existing building, together with the need to seismically strengthen the building lead to the complete upgrade of the conference centre. 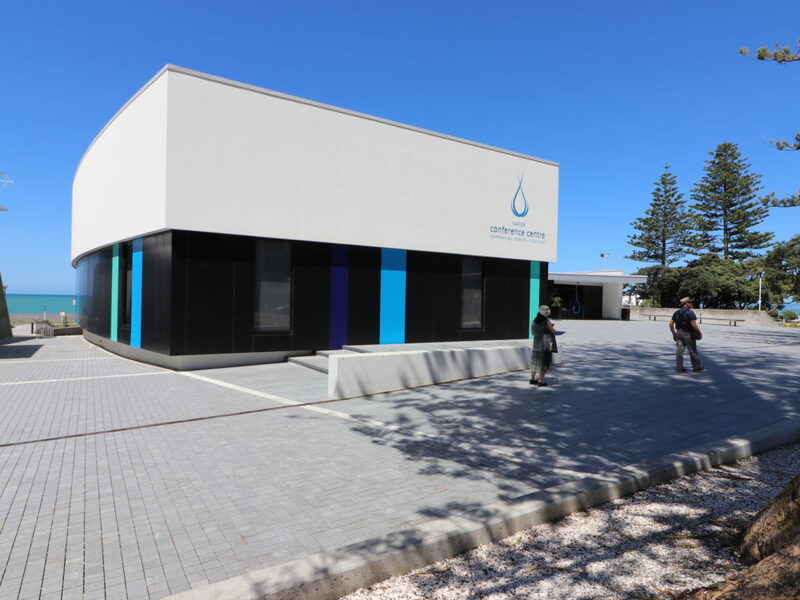 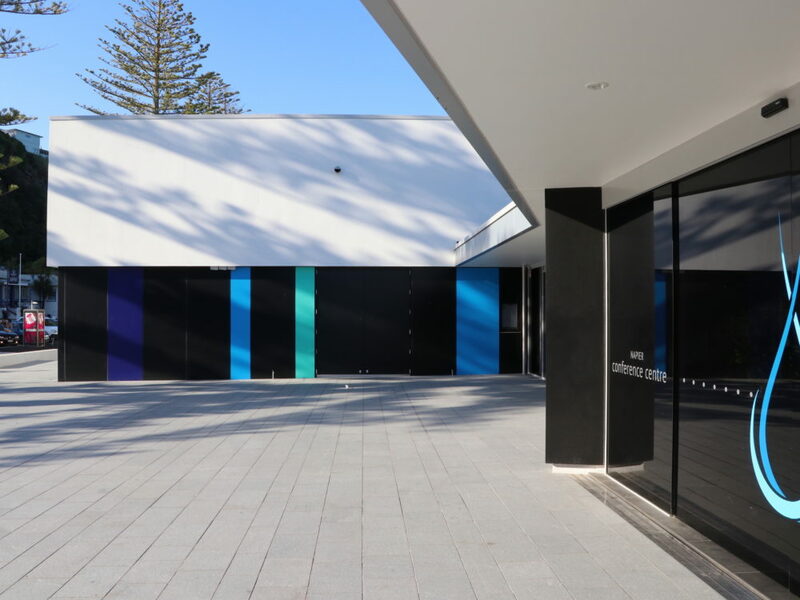 The new exhibition hall brings the building closer to the street with the new granite paved forecourt extending across the footpath creating a new urban space for the city. 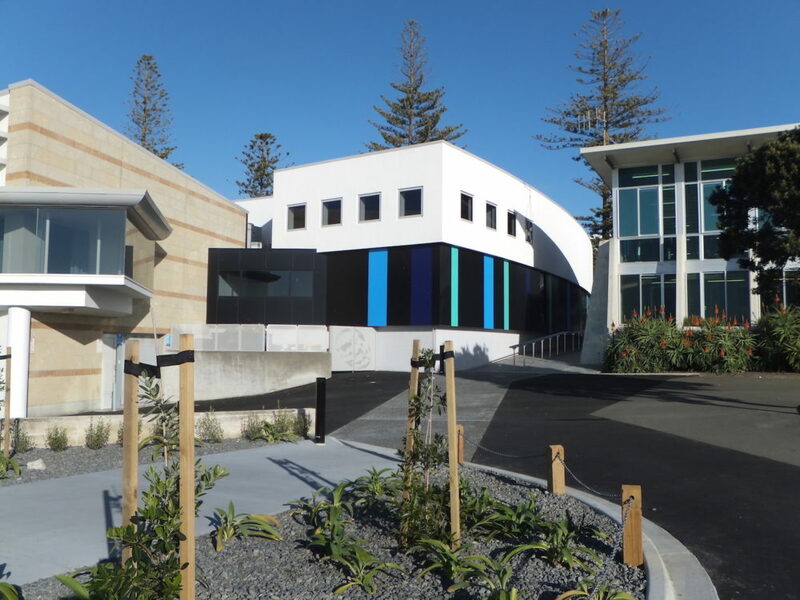 A curved north wall to the new hall creates one side of a new public route down to the existing lower carpark and beyond to the seaside pathway. 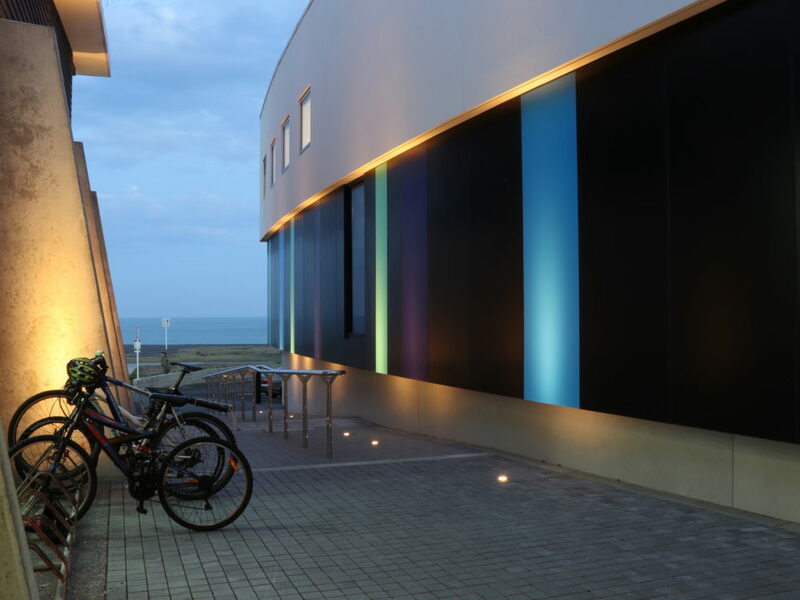 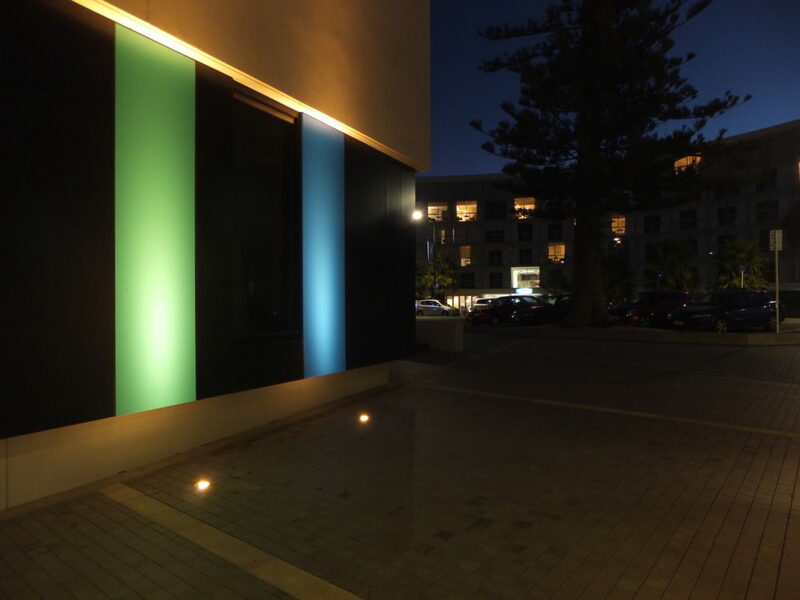 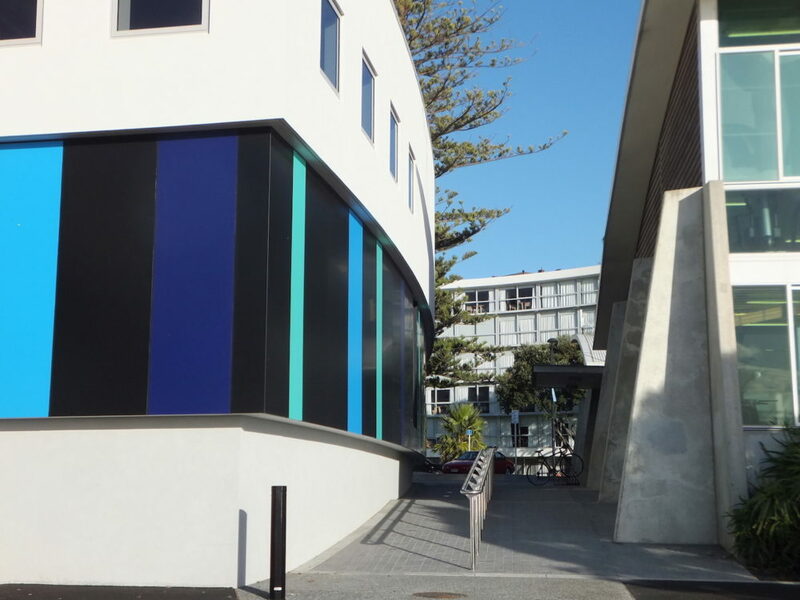 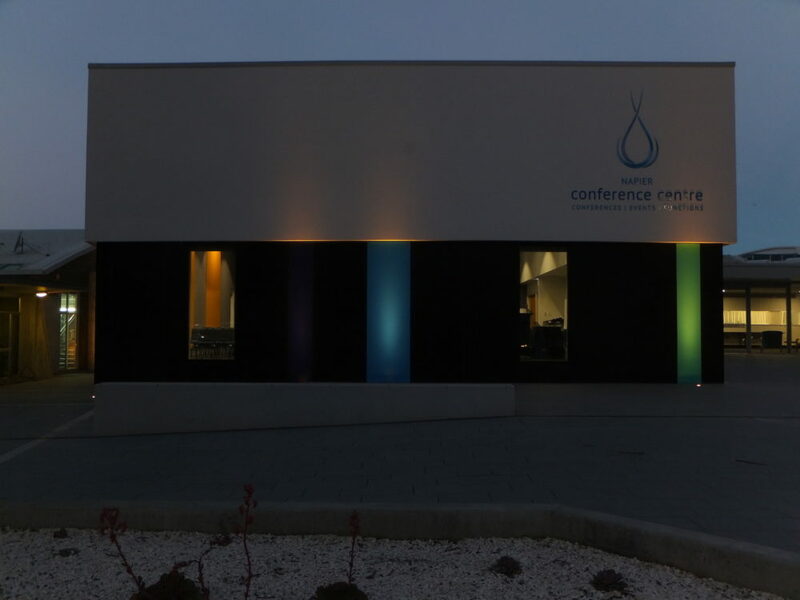 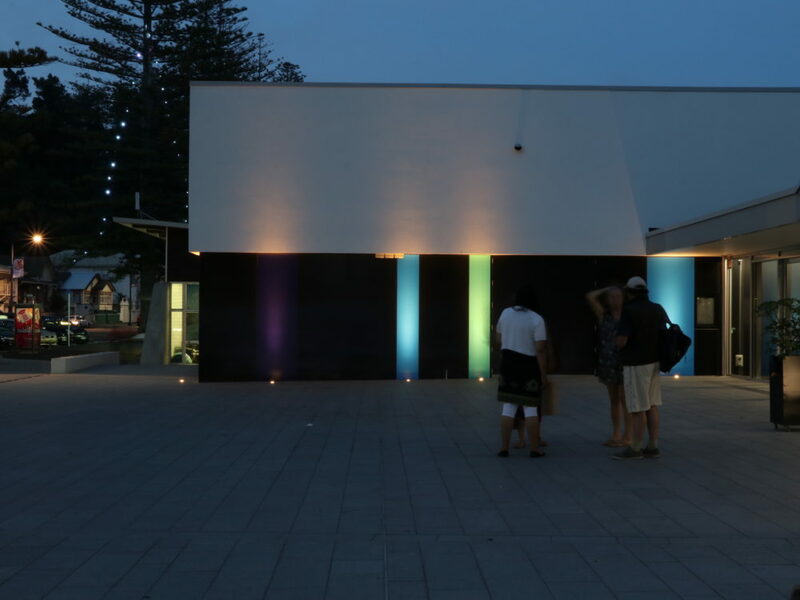 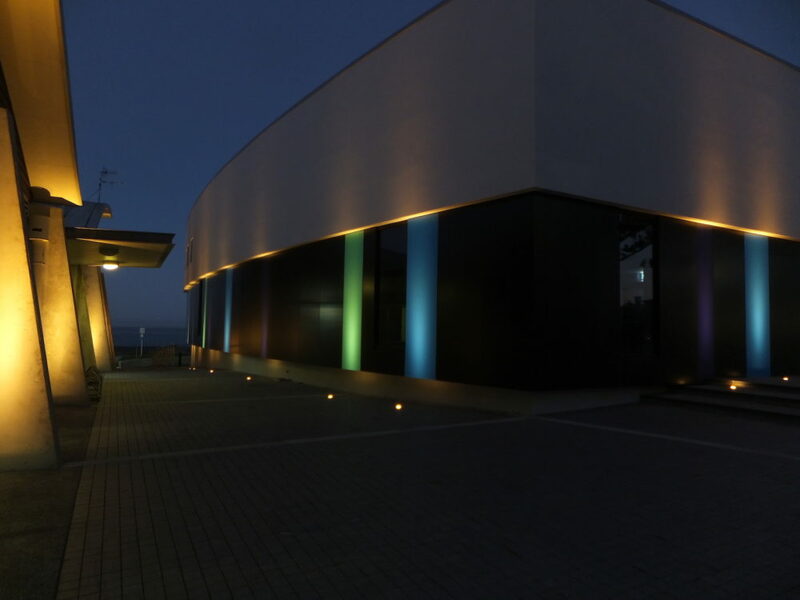 With a ribbon of black and coloured aluminium panels at the base of the hall, a new identity for the centre is created, drawing inspiration from the colours found in paua shell.